Christians need to navigate each cultural wave. We must view each issue in light of biblical truth and then engage it in our homes, churches, communities, and in the larger culture. If Christians are going to effectively engage todays culture, we must be culturally savvy and engage both the seen and unseen elements all around us. Only then can we demolish the cultural arguments that set themselves up against the knowledge of God 2 Cor. 105 and in contrast, proclaim the truth and hope of the ... See More gospel. 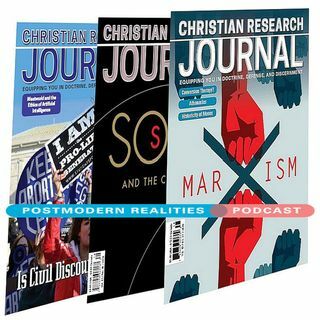 This special episode of the Postmodern Realities podcast is an interview with Brett Kunkle, co author of A Practical Guide to Culture Helping the Next Generation Navigate Todays World as he answers these pressing questions Because of sin, there has never been a completely Christian culture How then do we as Christians engage in culture, or as you say, where should we draw the line? What role do parents pastors have in helping youth develop a healthy worldview in an age that is increasingly digital and informative? How can parents pastors encourage kids to have a healthy relationship with entertainment? How can we make an argument for the authority of scripture and that we can accept these words as truth? How can parents pastors equip our kids to push back against the lies of culture with the truth and hope of the Gospel?